Black Friday is not as necessary as it used to be, and Cyber Monday may be picking up the slack, but one newer holiday tradition is growing bigger and bigger. That’s the day after Cyber Monday, known as Giving Tuesday, which also happens to be December first this year. One point of view may be that the idea of simply designating 1 day to ‘give back’ is nowhere near doing enough. On the other hand, in a culture obsessed with ourselves on almost every level, any day that highlights and promotes giving unto to others, even if does come with a slew of brand promotion emails, is a good day indeed. This Giving Tuesday, there are literally thousands of ways you can get involved or participate. All over social media, people are sharing inspiring ways and ideas for giving back to your community. It doesn’t mean you should stop giving when the clock strikes Wednesday, it simply means you are showing your support for the cause today. And thats what’s most important. If you’re still struggling with how you can help this Giving Tuesday here are 5 simple ways. And they all start by opening your own closet door. 1. Donate & recycle your old laptop collecting dust in the corner. I don’t really boast about too many accomplishments. Perhaps it’s the lack of them, or simply my intense modesty, but one thing that continues to make me very proud is my affiliation with Globetops. Globetops is a non profit organization started by producer Becky Morrison, and also one of my oldest and dearest friends. Having the opportunity to work wtih someone you’ve essentially known your entire life is pretty cool, but it’s even more exciting when the work is so awe inspiring. The model is pretty simple. They take your unused, old laptops, make them fresh and new again, and donate them to people all across the US and even internationally. But one thing that makes this program different from others is its ability to connect communities. People can go on the site and pick out specific projects that may speak to them, or inspire them in some way. The potential to see your donation affect someone, maybe even a country away, is a special opportunity you shouldn’t miss on Giving Tuesday, or any other day. To really see what Globetops is all about watch the below video and learn more about how you can donate your old laptop. 2. Go to your local coat drive and drop off a winter coat you don’t wear anymore. 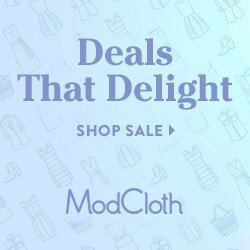 Guaranteed, if you look in your closet today, you will find a coat buried somewhere. It will be one you once loved, and you’ll still look at longingly. But it has an expiration date in your posession, and that date has arrived. If you found it buried so deep you forgot it was there, no matter how excited it made you, do the right thing and donate it instead. 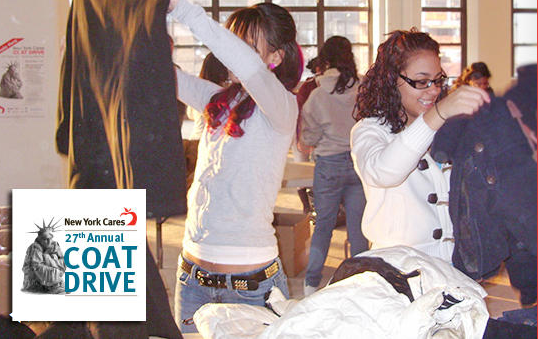 New York Cares annual coat drive has officially begun. Get all the details, including where you can drop off your coat locally. 3. Find a pair of shoes and send them to Donate your Shoes. 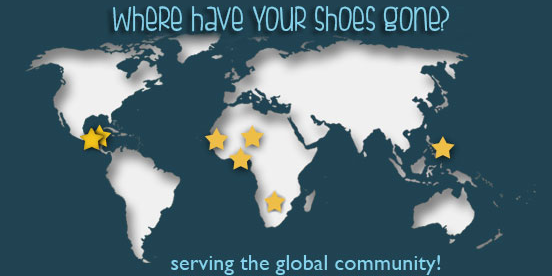 Donateyourshoes.org is a non profit organization that has a simple goal: “Put shoes on the shoeless worldwide.” They organize local shoes drives which promote donation and community, and can even earn you school credit. Learn how to get involved and ship your shoes here. 4. 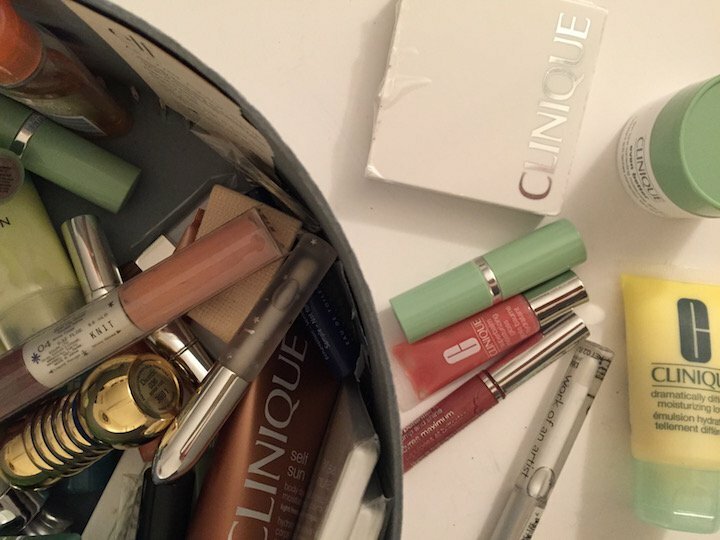 Collect unused beauty products and gift bag freebies. You know you have a shoebox filled with perfectly awesome makeup and Clinique gifts you’ve never touched. And if you’re a blogger like me, than you have dozens filled with freebies and samples. 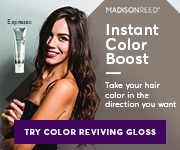 Instead of letting all that beauty go to waste, send it all to The Share your Beauty program. This fab organization, co-founded by one of my fellow NYC’ers, the absolutely lovely Lara of Pretty Connected is a beauty donation program that gives back to women in need. They collect new and unused beauty and hygiene products and deliver them to shelters, and teen centers in the tri state area. It’s a wonderful initiative and a simple way to help out this holiday season. 5. Uncover old art supplies and give them new life. Okay this one may be a bit harder, but whether or not you’re an avid artist, chances are there is some kind of creative supply being used somewhere. In our household, two artists mean an entire room filled with art supplies. Some of them are in no condition to go on, but others are ready for a new road. And as a child of an art teacher, and volunteer at Free Arts for over 7 years, this is an initiative very close to my heart. The Materials for the Arts in NYC is a reuse center providing a way for unneeded supplies to get into the hands of non profits, public schools, and art programs. 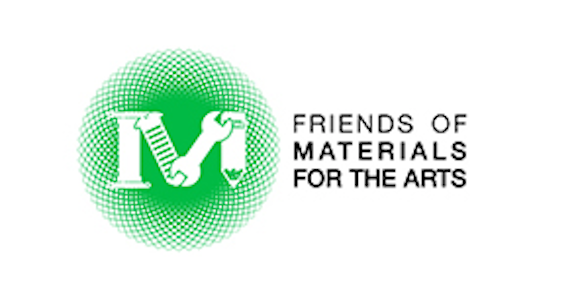 In partnership with NYC and non profit Friends of Materials for the Arts, they support and educate the creative community through various classes and workshops that aim to help people see creative reuse up close.